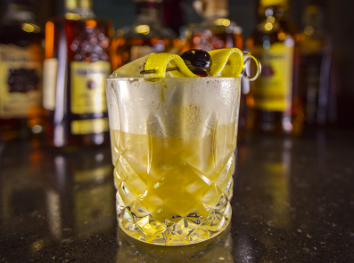 The Whiskey Sour is a beloved cocktail among many, with a recipe as simple as they come. The refreshing balance of smooth Bourbon, sweet simple syrup and sour lemon are what make this cocktail a fan-favorite. As Bourbon Heritage Month is in full swing, you’ll definitely want to try mixing up one of our Old Fashioned Whiskey Sours for yourself. Why do we call it old fashioned? Well, our recipe calls for an egg white – a practice dating back more than a century. Take a look at the recipe here, and if you craft your own, post on social media with the hashtag #HandcraftTheMoment so we can check it out!